Alger, Baraga, Chippewa, Gogebic, Houghton, Keweenaw, Luce, Marquette, and Ontonagon. Also includes Indexes for all 83 Michigan counties. 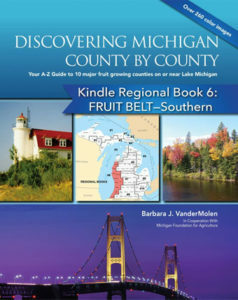 6 Lower Peninsula Counties: Antrim, Benzie, Charlevoix, Emmet, Grand Traverse, and Leelanau. 5 Lower Peninsula Counties: Alcona, Alpena, Cheboygan, Iosco, and Presque Isle. Clare, Crawford, Gladwin, Kalkaska, Lake, Missaukee, Montmorency, Ogemaw, Osceola, Oscoda, Otsego, Roscommon, and Wexford. Allegan, Berrien, Kent, Manistee, Mason, Muskegon, Newaygo, Oceana, Ottawa, and Van Buren. Clinton, Gratiot, Ionia, Isabella, Mecosta, Midland, Montcalm, Saginaw and Shiawassee. Arenac, Bay, Genesee, Huron, Lapeer, Sanilac, St. Clair, and Tuscola. Barry, Branch, Calhoun, Cass, Eaton, Hillsdale, Ingham, Jackson, Kalamazoo, Lenawee, and St. Joseph. Livingston, Macomb, Monroe, Oakland, Washtenaw, and Wayne. The counties in Metropolitan Detroit (America’s Comeback City, The Motor City, Motown, The D) area.